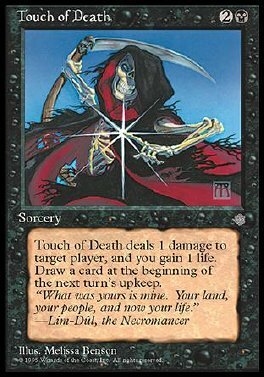 Touch of Death deals 1 damage to target player. You gain 1 life. Draw a card at the beginning of the next turn's upkeep.